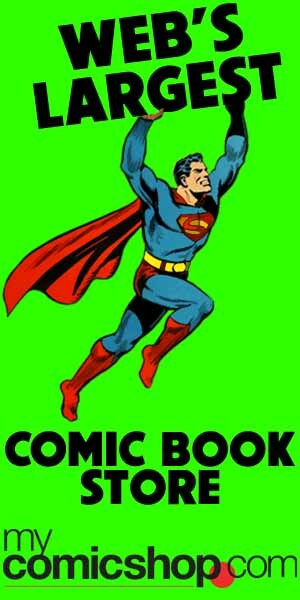 When it comes to finding a comic book reading order online, the resources out there are either incomplete or “too” complete. Some sites will focus only on trade paperbacks, while others will split books up by page, sending a flashback from 2009 all the way back to 1972. Neither allows you to put your single issues in the order they were meant to be read. It’s with this goal that we set out to create our first reading order, and upon many requests have spread out to many other popular franchises. Below you will find all of our comic book reading order lists. While each were made with idea that single issues will be placed in an order that allows for the best reading experience, each contain specific attributes to their particular franchise. For example, X-Men issues have their active roster displayed, while the Green Lantern reading order can be filtered for your favorite lantern only. Read on, and let us know what we change in our forums! For more about comic book reading order, and what I think about essential issues, read my essential issues section. It’ll slowly be added to the X-Men reading order. At the end of the day, since many are asking for a Deadpool reading order within the X-Men one as they organize their Deadpool with X-Men, I think it’s the best compromise. Those, like you, who keep it separate will still be able to use the X-Men reading order to organize their Deadpool collection (the search function will also work to create a custom Deadpool order on the fly – and, like my solo Avengers reading orders, once I have a good handle on a reading order I’ll publish a page with that filter already applied). Okay then, fair enough I guess, yeah. So this will have all of his stories in it though, right? Will it include stuff like Deadpool Corps, Deadpool vs Carnage and Dracula’s Gauntlet, etc. or just his main titles? Eventually. It’s not my main focus at the moment, but hopefully it will at some point. Just wondering, when I type “Deadpool” into the X-Men filter, it says Issues 1-2 of Joe Kelly’s run, then a few issues later (from other titles) It goes into the Marvel Now! Series. Why is that? I’m only just starting to include Deadpool. It would come eventually, but it’s not the greatest reading order for Deadpool at the moment. It would be very time consuming with very little benefit, IMO. Reading every series in “Universe” order would be too jarring. This method allows us to develop each reading order in their own context that would allow the reader follow the threads of particular characters or stories, and we can gradually add in other corners of the universe much more quickly. How about a Doctor Doom reading order? I think he deserves his own order considering he’s an all-round villain, not just the Fantastic Four. He has so many stories, it would be great to have. Something that goes from the issues that talk about his childhood and growing up until the most recent appearances. That’s a good idea. Doom transcends most “franchises”. I’ll consider, but it’s not top priority at the moment. If someone ever sends one my way, I’d publish it. Well I myself am working on one but considering he’s appeared in almost every title there is, It’s going to take a while and I may not finish it. If I do, I’ll let you know. Just wondering, are you the only person managing this site? Yes, though I’ve been getting some voluntary contributions lately that help a lot. How exactly do you do these reading orders? Do you just read every comic a character’s in and try to put it together? Do you go to other reading orders and use them as a base? I take in all the sources I can. It began with my order of my personal collection. I then expanded with the help of other orders I found on the web. I then read through certain runs and adjust, as well as taking in user submitted changes. I was wondering if you’d ever consider adding an ’embed’ button to your reading orders? Not a function that is available at the moment. Though it would be interesting. What’s the likelihood of adding one in an update sometime? Do you see a possibility in the near future to put a reading order on here for aquaman? In agreement with Rubaa, is there a chance of getting an Aquaman reading order? I’ve recently become quite interested in the character. I know you said you were putting the Deadpool order in with the X-Men, but if I gave you a list of the issues that are in (in-universe) chronological order, would you be interested? sure! Post it as a comment so everyone could see now, and I’ll eventually add it in. Just saying though, it would be long since he’s appeared in so many issues (plus I realised I forgot to add in the Marvel NOW Thunderbolts series). Should I still just post the whole thing? There are probably still some appearances I’ve missed, but I’m sure people who are concerned will post about them. So, will you be doing an order for the Post-Secret Wars Marvel universe? Since it’s starting just now? I think you should make order for the infinity stones. Oh the things i’d do for a Wolfman/Perez Teen Titans, DeMatteis/Giffen Justice League and Flash volume 2 reading order.